Experience warm Southwestern hospitality in a cozy lodge ambiance during stays at this hotel has something for everyone. Located in the heart of Uptown Sedona next door to fine art galleries, shopping, and restaurants. With famous red rocks and a charming downtown, this hotel is located in one the country's most scenic destinations. At our resort great attractions are right outside the door. Our hotel is two hours south of Grand Canyon National Park. Sedona exists at an intersection of soul-nourishing wilderness and pampered luxury—where soaring red rock monoliths cradle an array of resorts, spas, art galleries and boutique wineries. Whether you are looking for a desert adventure or a getaway full of nothing but rest and relaxation, Sedona has just what you need. 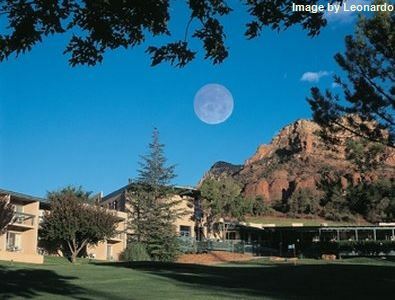 Book your Sedona, Arizona vacation package today. Please note: flight service for Sedona vacations is into Phoenix.